WFBB supports founders who would like to set up a business in Brandenburg. We support you when you have an innovative business idea, would like to become a freelancer or take over an existing innovative company. A project – IbM – was set up specifically for the purpose of supporting innovative start-ups in the state of Brandenburg. We match founders with selected external start-up consultants and business coaches and finance their cooperation with project funds. Consulting and coaching are individual, target-oriented and tailored to the current needs and challenges of the business. We are by your side no matter what founding phase you are in. The only thing that differs is the percentage of funding for the different groups. If you have not yet started your business or if you step into an established business, coaching and consulting service are fully covered by project money (-except VAT). If you have already formally set up your business (business registration, commercial register entry or registration at the tax authority), there is a bit more financial responsibility for you. A company succession is classified as a pre-start-up phase. As a result, the total costs for advice and coaching are paid for with project money and the successors only pay the VAT on the total fee. In addition, WFBB supports our in all matters relating to company development and market entry. We also draw on our and our partners’ industry expertise. We also closely cooperate with the Investment Bank of the State of Brandenburg (ILB) in helping start-ups launch and grow their business. Special support is given to foreign university graduates who are interested in founding a business in Brandenburg and to founders from universities and non-university research institutions. The project is called "Consulting and Business Coaching for Innovative Start-ups in the State of Brandenburg (Innovationen brauchen Mut 2018 bis 2020 / Innovations need Courage 2018 to 2020)". 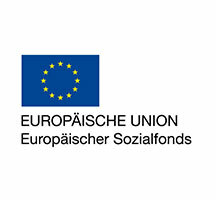 It is funded by the European Social Fund (ESF) and the Federal State of Brandenburg via the Brandenburg Ministry for Labour, Social Affairs, Health, Women and Family (MASGF) and the Ministry for Economic Affairs and Energy (MWE).